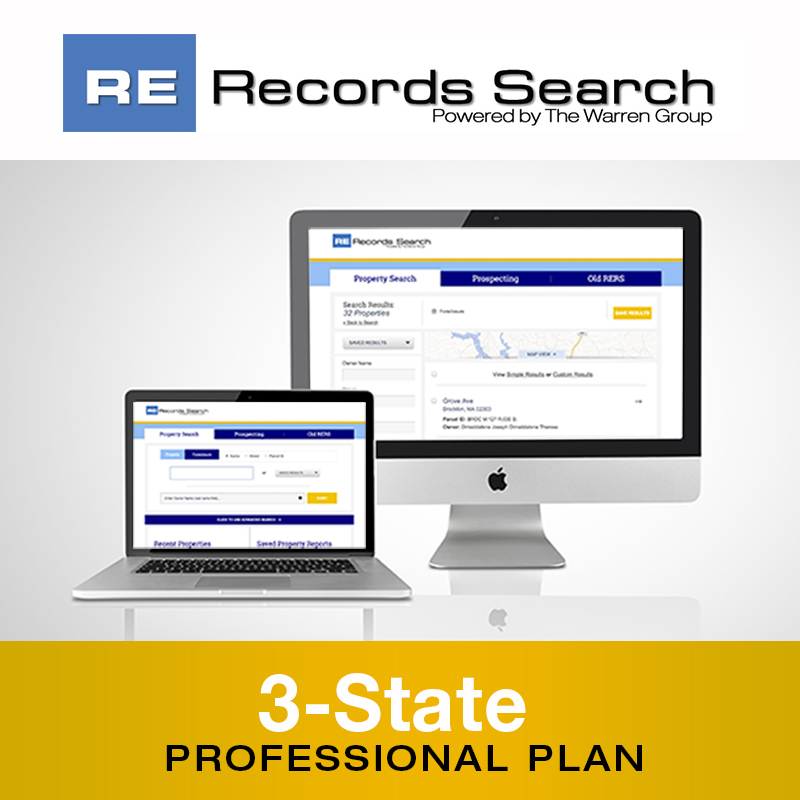 Your RE Records Search Professional 3-State Subscription provides you with access to the most thorough property information available in New England. You’ll find property characteristics and ownership, sales, mortgages and distressed histories, comprehensive map features, town demographics and more. The 3-State option allows you to choose three of seven available states. You’ll have unlimited searches, the ability to download up to 300 labels/records per month and no overage charges, ever. To guarantee uninterrupted service, all subscriptions are automatically renewed 14 days prior to the anniversary of the term selected below. If you need additional exports and labels for marketing or research purposes, you can purchase a stand-alone option for one month. Go to Subscription Plans at rerecordssearch.com and choose from 1,000-3,000 exports/labels from our LabelMaker product. With full access to RE Records Search, you can search and download what you need. At the end of 30 days, your access will end. LabelMaker is not a subscription service. If you need more than 3,000 labels or exports, email us at customerservice@thewarrengroup.com to discuss your needs with a data specialist.